Fall is my favorite season and Thanksgiving is one of my favorite holidays. I love everything about this time of year, especially the reminder to count my blessings. The new children's book, One Big Turkey, will help your child learn to count their blessings too. Your child will join the big turkey and all of his forest friends as they celebrate the harvest season. As they count from 1 to 10, they learn to give thanks for all things big and small. 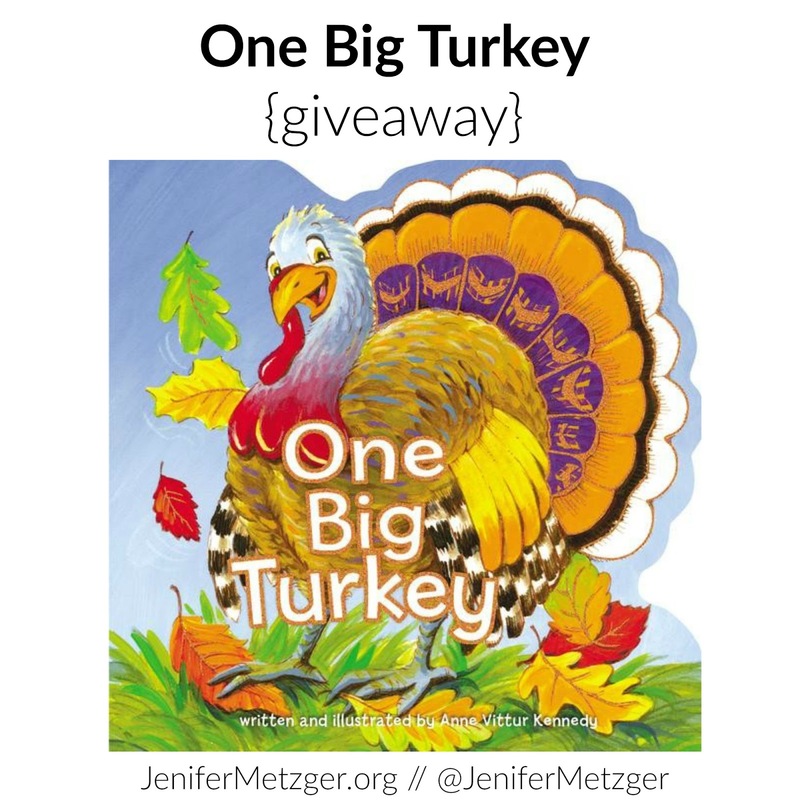 Check out One Big Turkey and help your child give thanks. To enter to win a copy of One Big Turkey, complete each task in the rafflecopter below. When my kids were younger I would ask them to name three things they were thankful for or to tell me three things they enjoyed that day. We pray before every meal thanking God for the food and blessings we have.